In 2013, Kanye West did a rather uncomfortable interview with the BBC. The interview went viral for all of the crazy stuff Yeezy said, and Jimmy Kimmel did a “spoof” of it, where he had children read from the exact transcript of the interview. Kanye got SO MAD. That was the moment when Kanye went on a caps-lock rant about Kimmel being unfunny and #NoDisrespectToBenAffleck became a thing. A few weeks later, Kanye and Jimmy made up when Kanye appeared on Jimmy Kimmel Live. Well, I say “made up,” but you could tell that Kanye still felt like Kimmel wronged him and all of that. I wouldn’t say that Kanye and Jimmy have been feuding ever since, but there’s been ~tension~. Well, Kanye agreed to sit down with Kimmel again. Kimmel has been promoting the interview constantly, just hyping the hell out of it. Here’s the full interview. He goes on and on about how there’s not a class that teaches you how to balance a checkbook (YES THERE IS) and there’s isn’t a class about the future (JADEN SMITH DID IT FIRST) and something about Galileo and how we need to “advance as a race of beings.” I can’t. Anyway, just skip along to the 10-minute mark, because that’s when Kanye starts talking about how we should not “hate” Donald Trump, we should try loving him. Kimmel challenges him on that, by reminding Kanye that Trump is literally tearing families apart at the border. 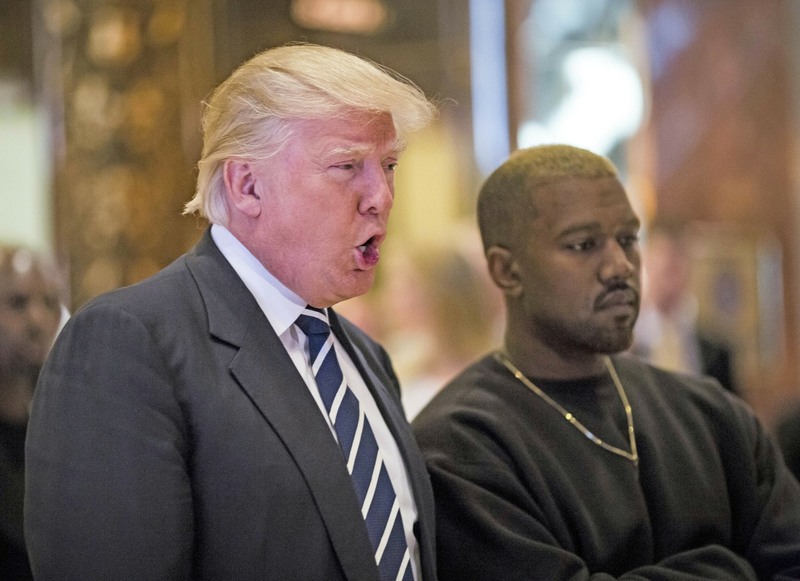 Kimmel then challenged Kanye to remember what he said at the Hurricane Katrina telethon in 2005, when Kanye said “George Bush doesn’t care about black people.” Kimmel asked Kanye if thinks Donald Trump would care about black people. Kanye sits there silently, in thought, and then Kimmel breaks for a commercial. And that’s where I stopped watching.